Where can I read Senior Security Advisors Reverse Mortgage Reviews? Senior Security Advisors truly cares about each client, and we’re so proud of the reviews we receive. We encourage you to read our Reverse Mortgage Reviews and catch a glimpse of what so many others have already experienced. Our reviews can be located in the about us section of our website as well as on Facebook and other Social Media platforms. This is simply an alternative term used to describe a reverse mortgage. How will the reverse mortgage loan eventually be repaid? Typically the home is sold and the funds are used to pay off the reverse mortgage loan. Any remainder of equity is kept by the seller/owner. If the property is bequeathed and the beneficiary chooses not to sell the home, the reverse mortgage loan can be paid off with other simple alternatives. Where can I find more resources for reverse mortgage information? You can find all of this highly beneficial information by clicking our Resources tab at the top of the page! A rise in value can equal a rise in equity. You may be able to capitalize on this additional equity by refinancing your reverse mortgage. You may also opt to do nothing, leaving more equity for you (or your heirs) in the home after the loan is paid off. What if the loan amount ends up exceeding the value of my home? Will my heirs be responsible for my debt? When the final borrower leaves the residence, if the home’s value is below the amount of the loan, the difference will be covered by insurance from the Federal Housing Administration. Since reverse mortgages are non-recourse loans, only the funds from the sale of the home can be used to pay off the loan. However, the only case in which the FHA would not cover the difference is if the heirs wish to keep the home, at which point they would be financially responsible. There are absolutely NO limitations. Use your funds for whatever you’d like! You must get reverse mortgage counseling from an agency approved by the U.S. Department of House and Urban Development. Consult our Counseling Guide to help get you started! Why do I need counseling for a reverse mortgage? Current US laws enforce that all individuals who are considering a reverse mortgage receive counseling from a third party before they are approved. This counseling is in place to provide unbiased feedback and knowledge for borrowers. 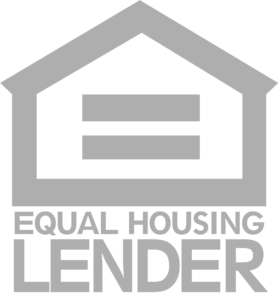 The counselors have no association with the lenders, and are simply present to educate and ensure the borrowers are prepared to make the best financial decision for their future. No, they will never be affected by a reverse mortgage. What if I change my mind after I set up a reverse mortgage? Can I change my mind? An FHA reverse mortgage is simply a Home Equity Conversion Mortgage (HECM) which is a loan insured by the Federal Housing Administration. Yes! You can do this utilizing our HECM for Purchase Program (H4P). You choose whichever option benefits you the most. Fixed rate loans are limited to one lump sum payment, while an adjustable rate loan is more flexible with alternatives. Yes it can. This would benefit you most after your home has gone up in value, raising its equity, therefore allowing you to borrow a greater amount.